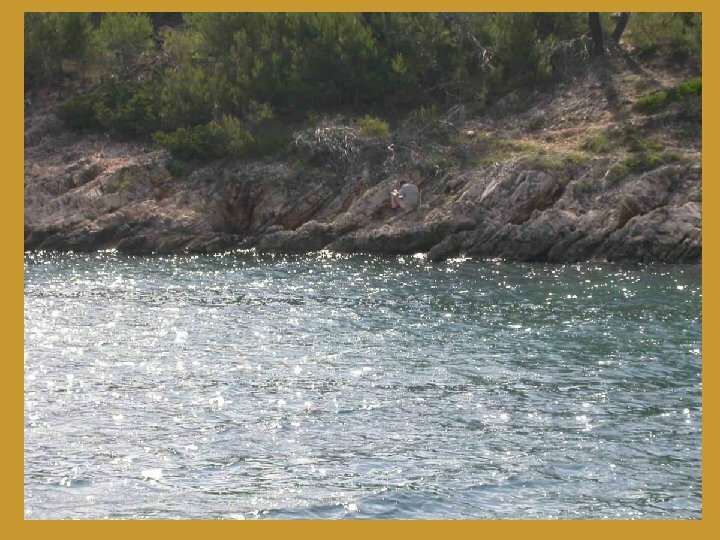 The island of Hvar is part of the Dalmatian Island chain along the Adriatic Coast of Croatia. 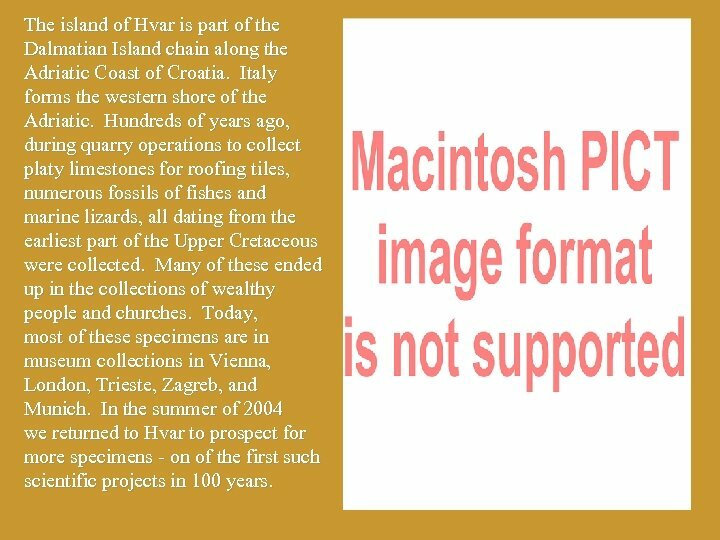 Italy forms the western shore of the Adriatic. 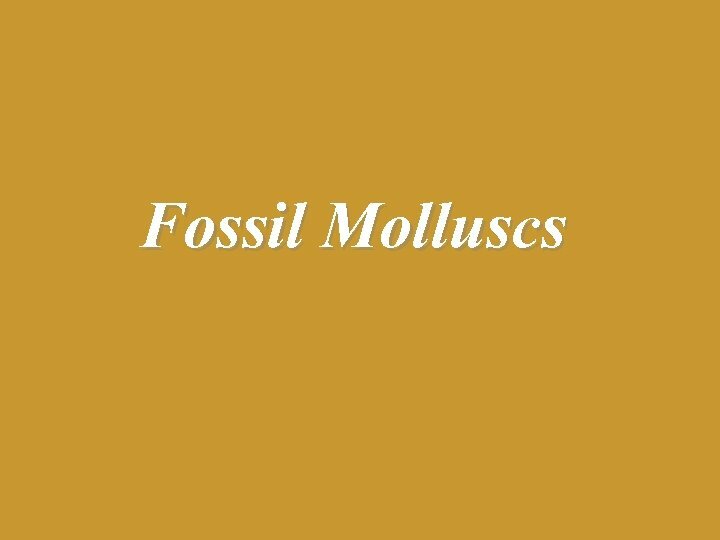 Hundreds of years ago, during quarry operations to collect platy limestones for roofing tiles, numerous fossils of fishes and marine lizards, all dating from the earliest part of the Upper Cretaceous were collected. 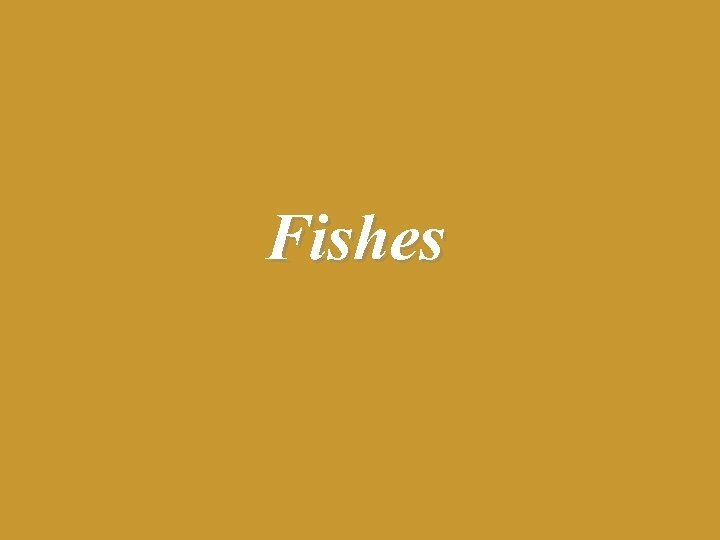 Many of these ended up in the collections of wealthy people and churches. 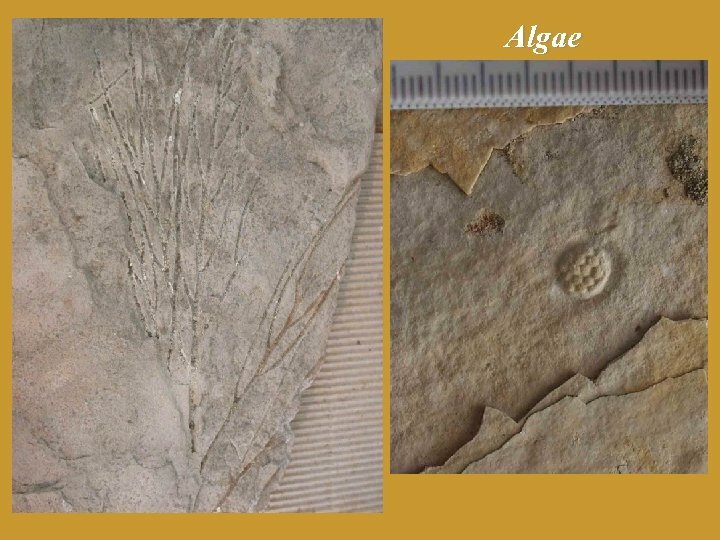 Today, most of these specimens are in museum collections in Vienna, London, Trieste, Zagreb, and Munich. 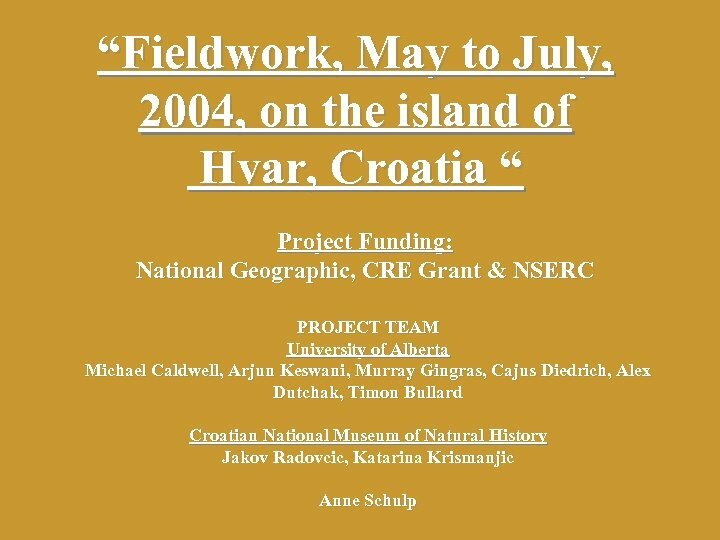 In the summer of 2004 we returned to Hvar to prospect for more specimens - on of the first such scientific projects in 100 years. View of the northern peninsula from the highlands to the east. 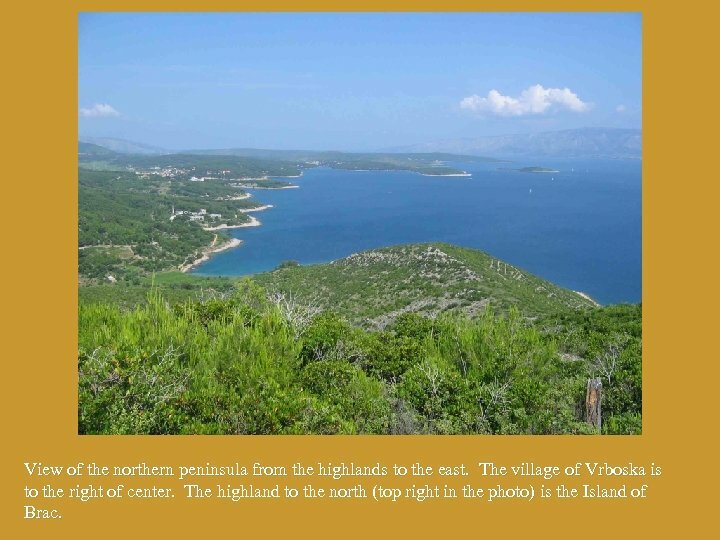 The village of Vrboska is to the right of center. 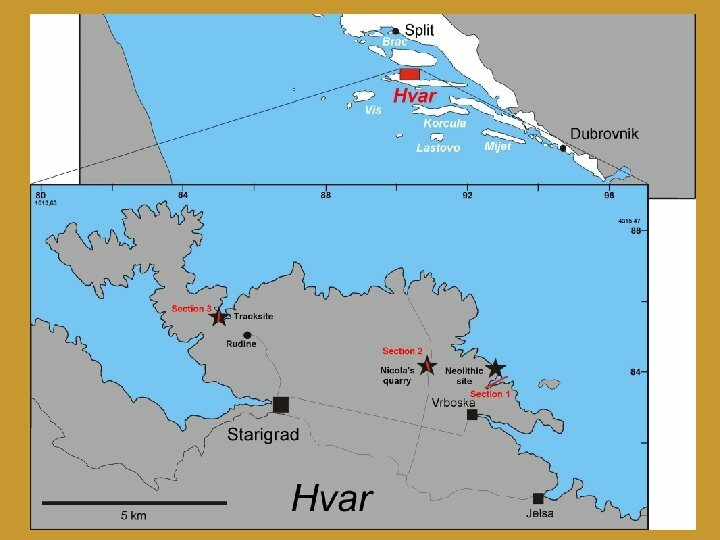 The highland to the north (top right in the photo) is the Island of Brac. The village of Vrboska as seen the front step of our pension. 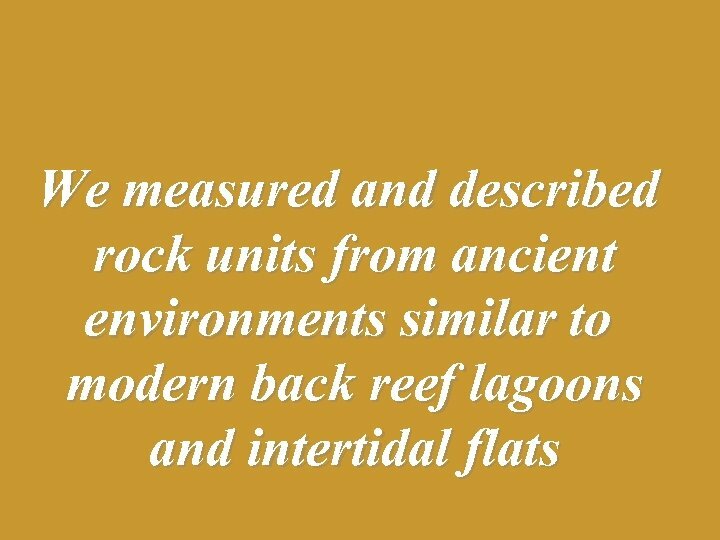 The roofs of the buildings are tiled now, but historically they were covered in fossil-bearing platy limestones. 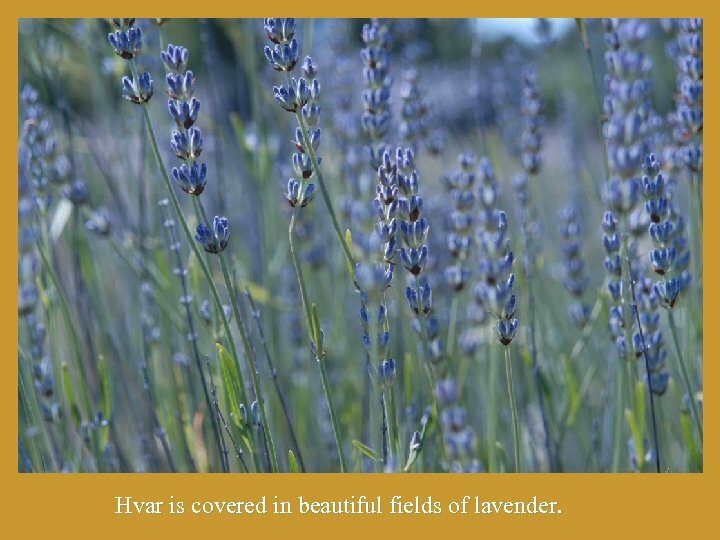 Hvar is covered in beautiful fields of lavender. 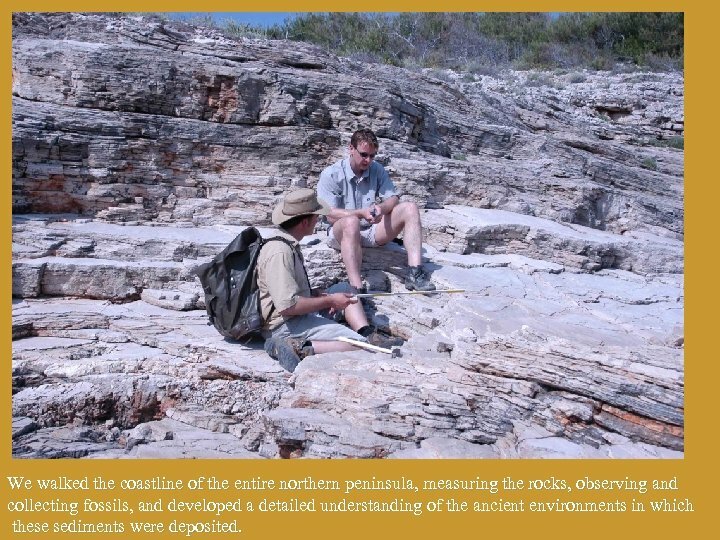 We walked the coastline of the entire northern peninsula, measuring the rocks, observing and collecting fossils, and developed a detailed understanding of the ancient environments in which these sediments were deposited. 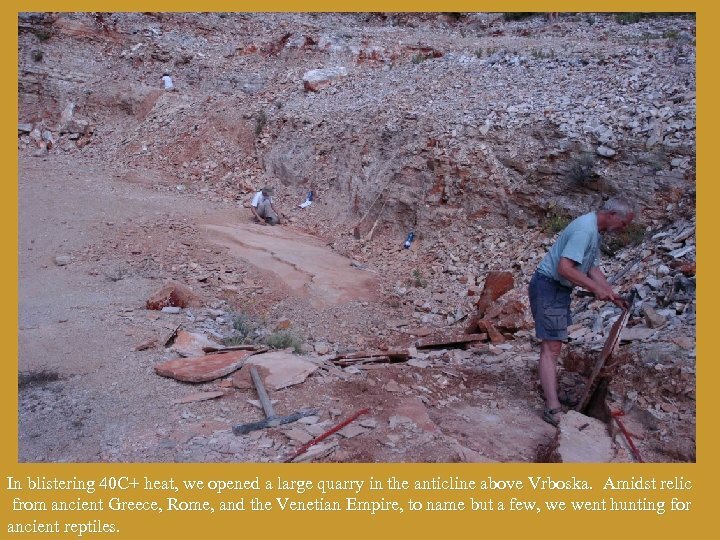 In blistering 40 C+ heat, we opened a large quarry in the anticline above Vrboska. 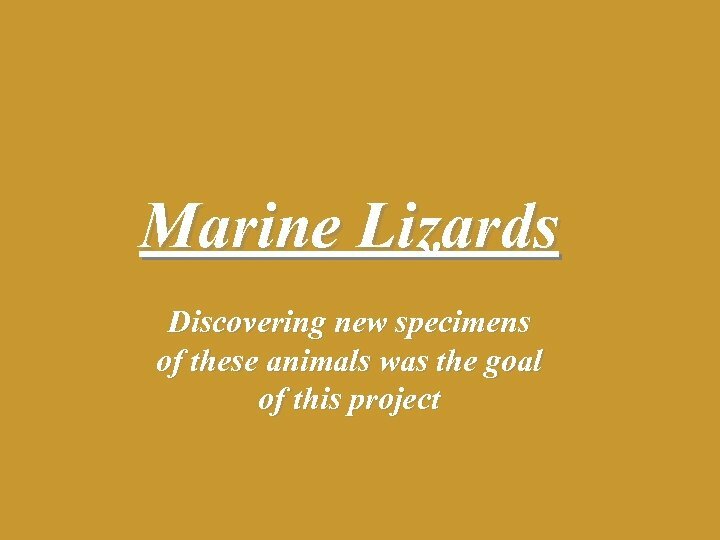 Amidst relic from ancient Greece, Rome, and the Venetian Empire, to name but a few, we went hunting for ancient reptiles. 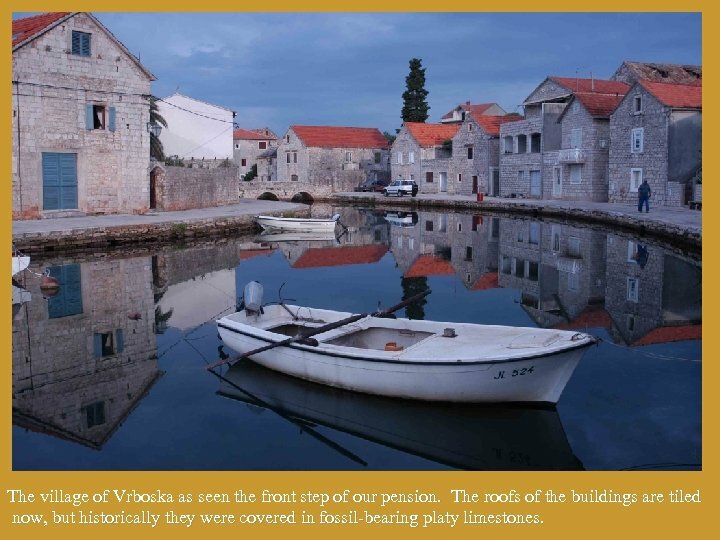 An example of an old stone house with its stone roof, nestled in the ancient vineyards that cover the lowlands on Hvar. 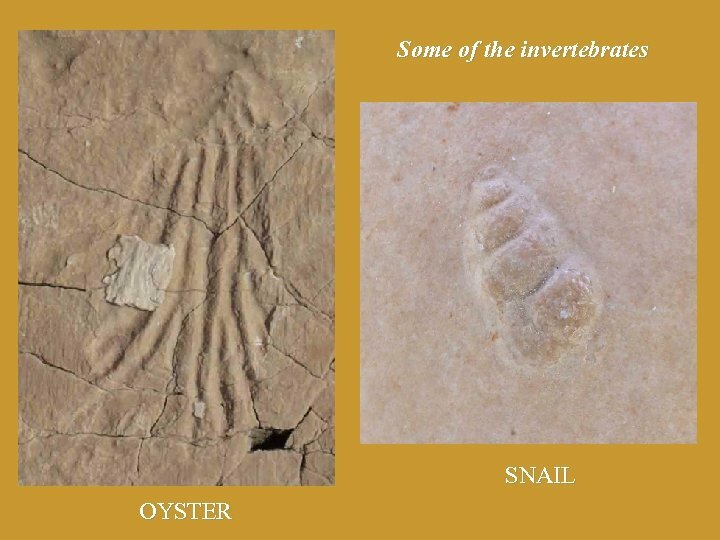 People have been living here for thousands of years…the evidence is everywhere. 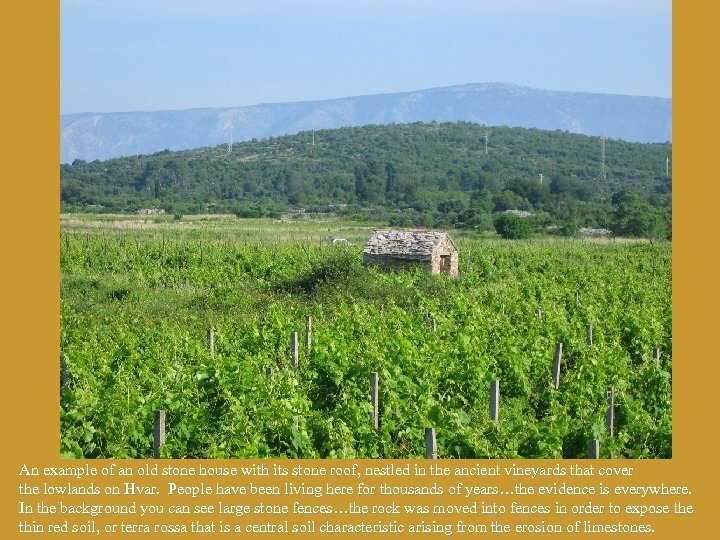 In the background you can see large stone fences…the rock was moved into fences in order to expose thin red soil, or terra rossa that is a central soil characteristic arising from the erosion of limestones. 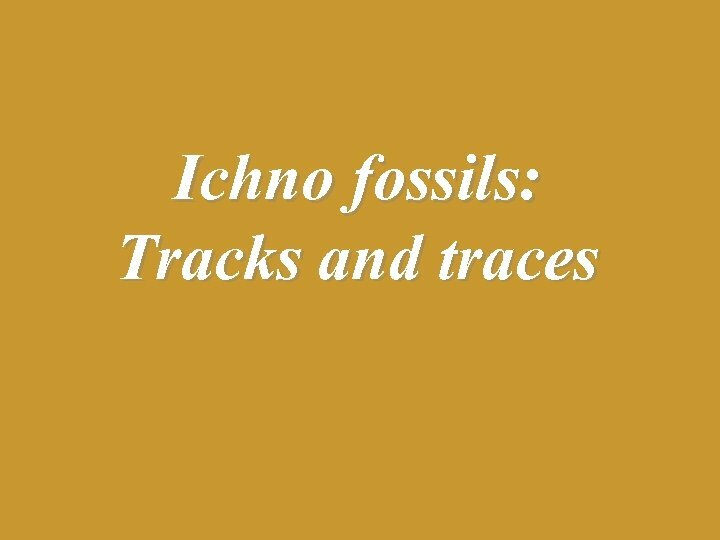 We also discovered and excavated a dinosaur trackway. 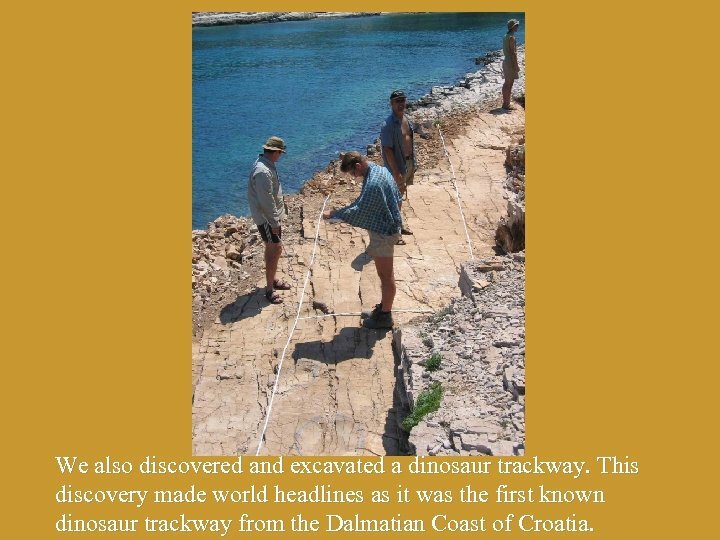 This discovery made world headlines as it was the first known dinosaur trackway from the Dalmatian Coast of Croatia. 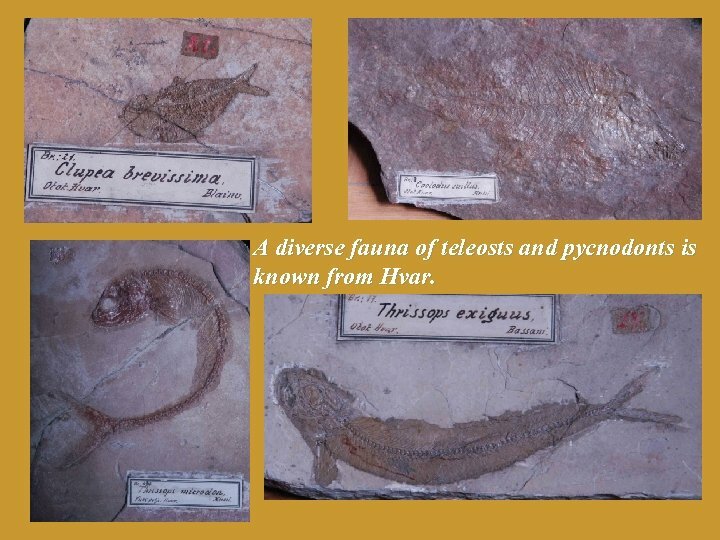 A diverse fauna of teleosts and pycnodonts is known from Hvar. 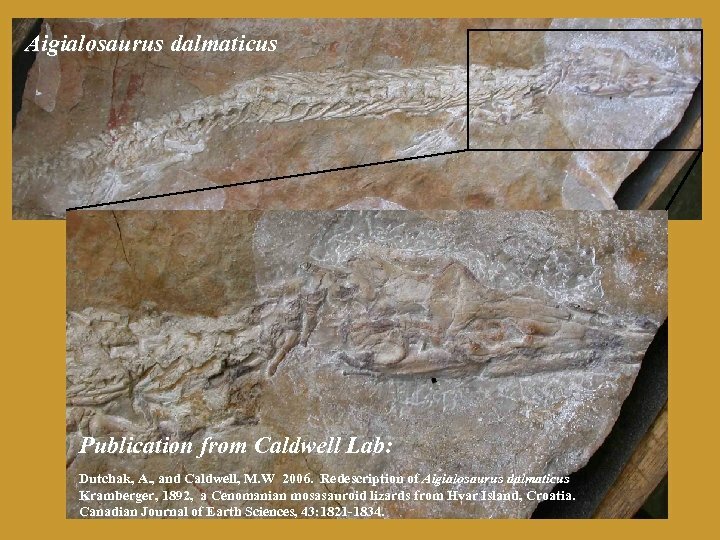 Aigialosaurus dalmaticus Publication from Caldwell Lab: Dutchak, A. , and Caldwell, M. W 2006. 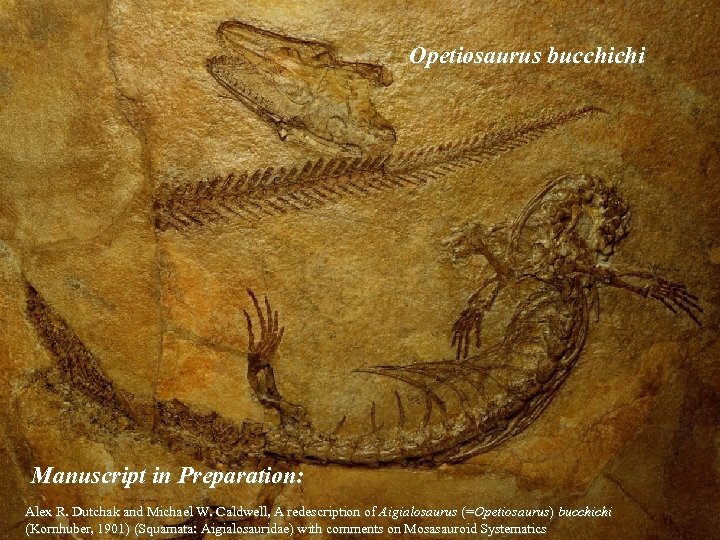 Redescription of Aigialosaurus dalmaticus Kramberger, 1892, a Cenomanian mosasauroid lizards from Hvar Island, Croatia. 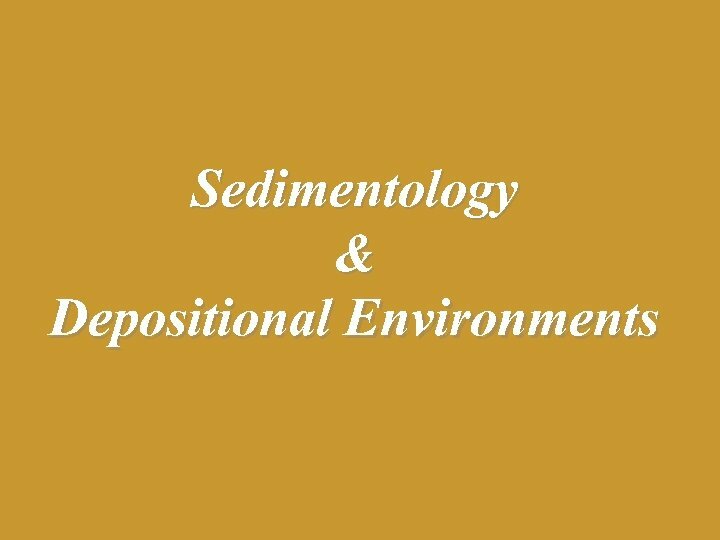 Canadian Journal of Earth Sciences, 43: 1821 -1834. 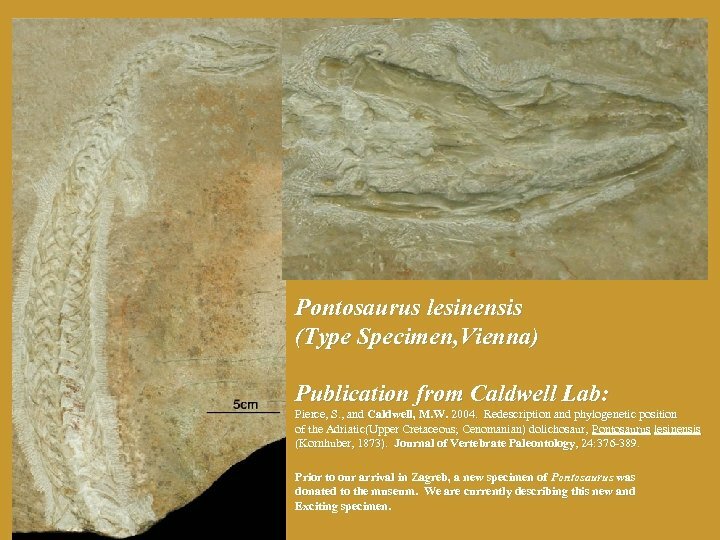 Pontosaurus lesinensis (Type Specimen, Vienna) Publication from Caldwell Lab: Pierce, S. , and Caldwell, M. W. 2004. Redescription and phylogenetic position of the Adriatic(Upper Cretaceous; Cenomanian) dolichosaur, Pontosaurus lesinensis (Kornhuber, 1873). 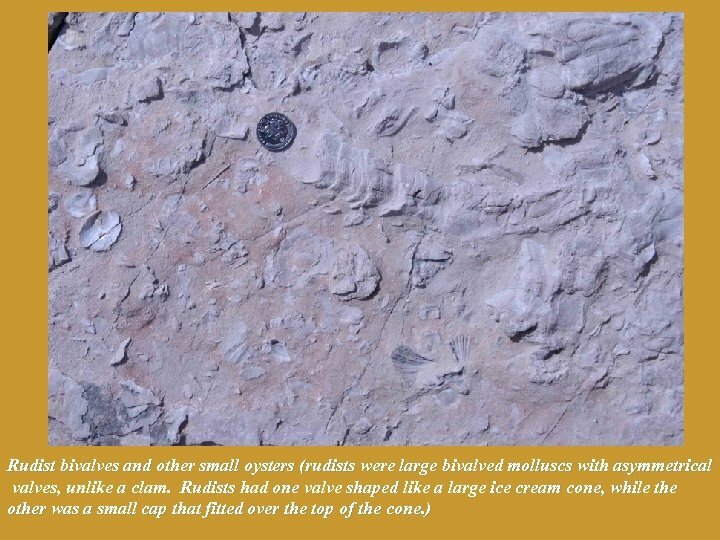 Journal of Vertebrate Paleontology, 24: 376 -389. Paleontology, Prior to our arrival in Zagreb, a new specimen of Pontosaurus was donated to the museum. 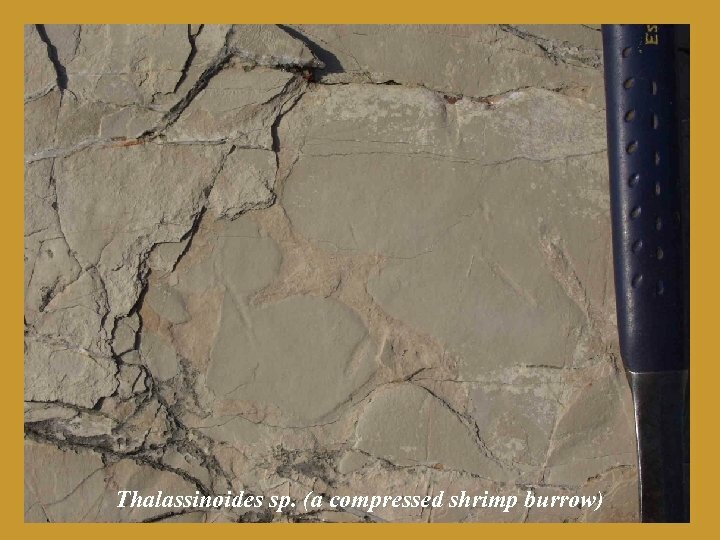 We are currently describing this new and Exciting specimen. 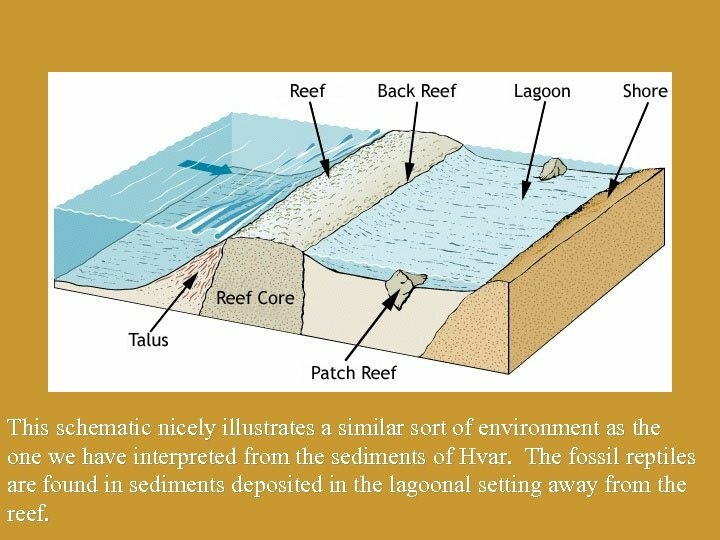 This schematic nicely illustrates a similar sort of environment as the one we have interpreted from the sediments of Hvar. 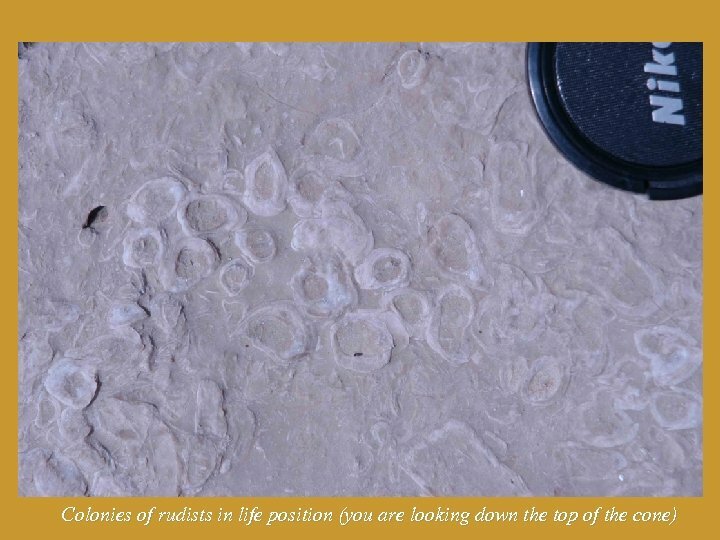 The fossil reptiles are found in sediments deposited in the lagoonal setting away from the reef. 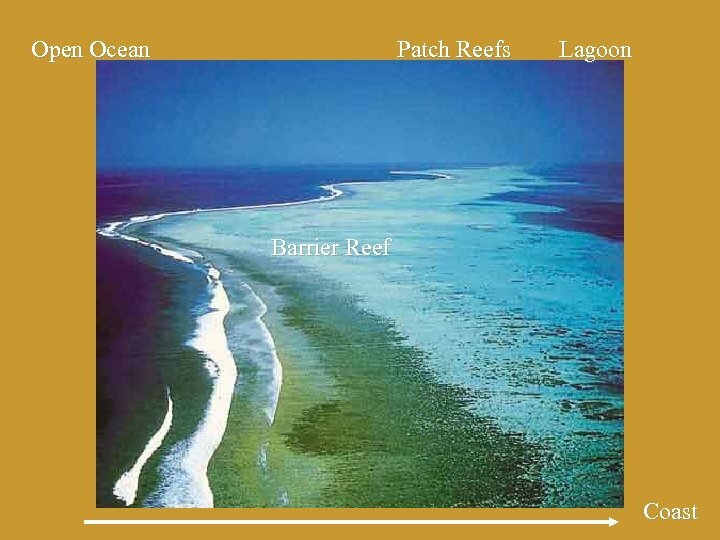 Evironments like this can be restricted and hypersaline on a rather frequent basis. 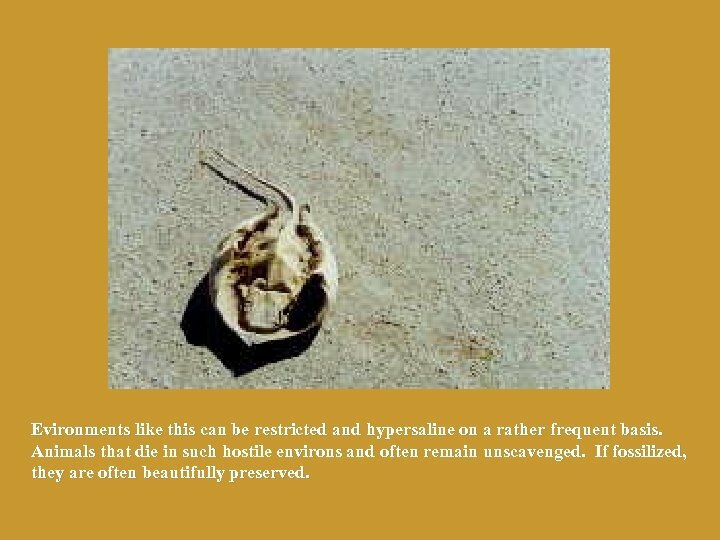 Animals that die in such hostile environs and often remain unscavenged. 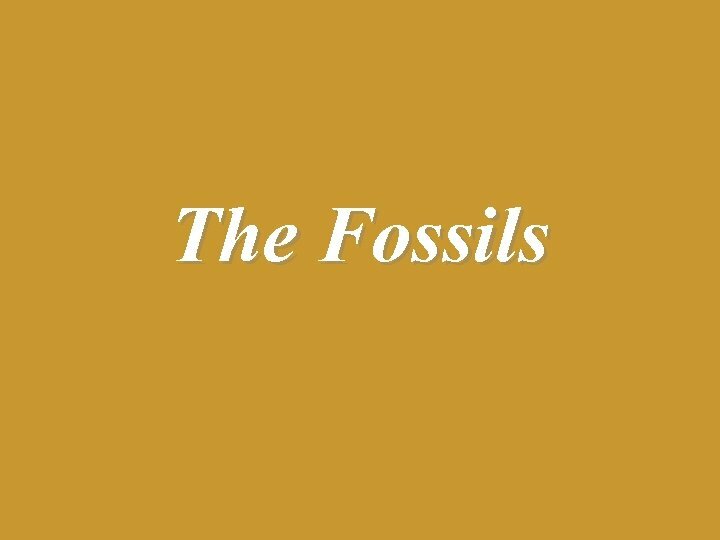 If fossilized, they are often beautifully preserved.